Is that a zebra hiding amongst those building blocks? 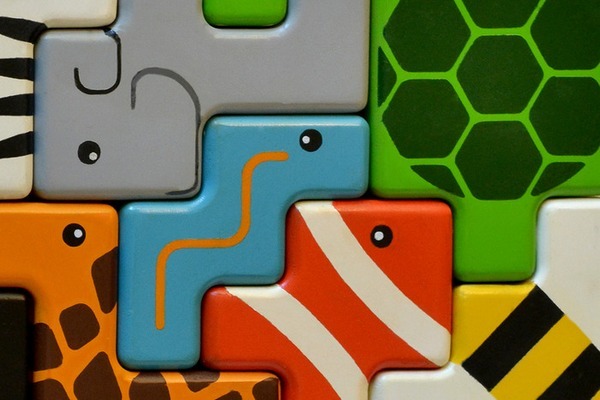 They look like building blocks but they also look like animals. 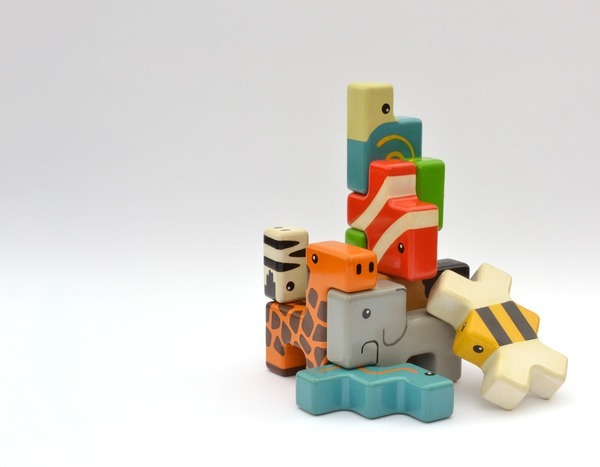 They’re Animal Stackers – beautifully crafted wooden blocks that are the latest Kickstarter project to catch our eye. American designer Dan Nguyen created Animal Stackers quite deliberately as a unisex toy – one that would appeal to boys and girls equally. Certainly in our house, toy animals and farm sets have always been a favourite, regardless of gender or age. Although Nguyen is keeping the focus firmly on the gender-neutrality of Animal Stackers, I’m mostly interested in the simple loveliness of the pieces. Each colourfully painted wooden block comes in the form of a familiar animal and there are land animals, insects and sea creatures in the mix. Each animal can be stacked with others in a variety of ways – the elephant can lock ears with a giraffe and a snake can wrap around the wings of a bee. The shapes are challenging and interesting and would be a great addition to your building block set or as a stand-alone toy. I do like the fact that the shapes encourage a different approach to spatial reasoning – that may sound lofty but you only have to watch a three-year-old playing with building blocks to see their minds whirring as their creations take shape. The Kickstarter project ends on July 20, 2013. Support Animal Stackers with pledges beginning at US$1. Pledges of US$42 or more will buy you a set of Animal Stackers if the project is fully funded.